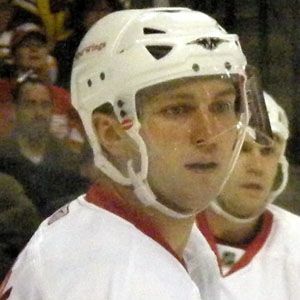 Defenseman who won Stanley Cup Championships with the New Jersey Devils in 2000 and the Detroit Red Wings in 2008; played in the 2003-04 All-Star game and retired with 515 points and an impressive 178 plus/minus. He played in the United States Hockey League for the Madison Capitols during the 1990-91 season. He played for the US national team at the 2010 Winter Olympics. He led all defenders in points and was named the Best Defenseman of the 2010 Olympic hockey tournament. He had three sons, Danny, Evan, and Matthew, with his wife Felicity. He played on a line with the great Nicklas Lidstrom during the Wings' 2008 Stanley Cup Championship run.